Nobody ever wants to be involved in a serious auto accident. The truth is that you could be struck by a negligent motorist regardless of how careful you are while driving. That’s why it is important for you to be prepared in advance and know exactly what to do after a car accident. Remain Calm: It can be difficult to stay calm during a stressful situation such as a car accident. However, you need to be thinking clearly in order to make the right decisions in the moments following a crash. So take a deep breath and try to focus on what you can do to protect yourself and your loved ones. Get Immediate Medical Attention: If you, your passengers, or anyone else involved in the auto accident sustained injuries, get immediate medical help. Depending on the circumstances, you may need to dial 911 on a cell phone so that emergency medical responders can be dispatched to the accident scene. Even if you did not suffer an obvious injury in the crash, you may still have to visit a doctor later for a medical check-up because you might not show signs of injury until hours or even days after the accident. Get to a Safe Area: You do not want to endanger yourself or other motorists by staying in the middle of the road. So, if possible, move your vehicle to the side of the roadway or to an area near the accident scene. Warn Other Motorists: In the event that you are unable to move your car off the road, turn on your hazard lights so that other motorists know to slow down as they approach. Notify Law Enforcement: You must alert law enforcement when you are involved in a car accident. Doing so will protect your rights and could prove helpful if you eventually need a police report. Additionally, you do not want to take the chance of being charged with leaving the scene of an accident. Take Photographs: Photos of the accident scene may prove extremely useful when it comes to being reimbursed by the insurance company or seeking damages in court. Evidence can easily disappear in the days that follow an accident, so try to take time-stamped photos at the accident scene. You should also take photos of your injuries. Contact an Attorney: You need a qualified personal injury attorney on your side throughout the legal process. A knowledgeable personal injury and car accident lawyer will ensure that your legal rights are protected. Moreover, a lawyer can speak to the insurance company on your behalf and make sure that you get maximum compensation for your injuries and property damage. 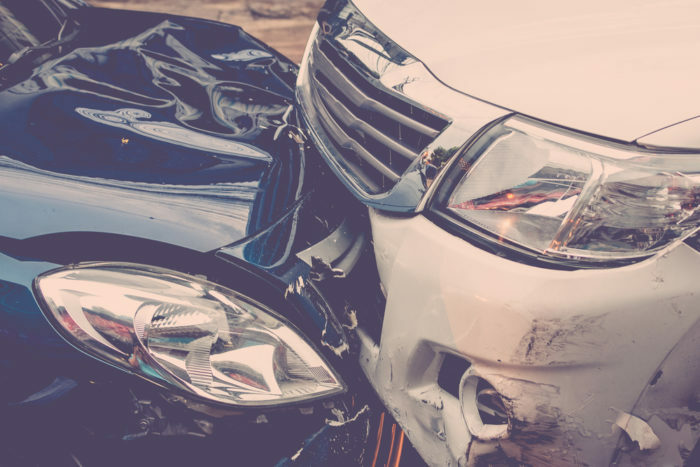 If you or someone you know was injured in a New Jersey auto accident caused by a negligent driver, you should speak with a qualified personal injury lawyer immediately. Richard Stoloff is an experienced personal injury attorney who can help you get the compensation you deserve. Contact Mr. Stoloff anytime to schedule a free initial consultation.